The tastings are well organised, in various centres around the region, though you need a sharp pair of elbows to battle your way through the throngs that inevitably gather around the best bottles. Get this, however: the samples being tasted are of unfinished wines, drawn from barrel and blended to show well on the day. There is no guarantee that the same blend will be adhered to about a year later when the wine is finally bottled. Thus judgement is being cast on an unfinished product, a bit like taking a loaf of bread out of the oven and tasting it when it is half-baked. 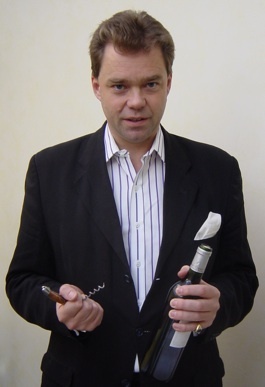 Then begins the merry dance of pricing the product as high as the market will bear, usually based on the scores awarded to the wines by noted US critic Robert Parker. Anticipation runs high in the trade as the prices trickle out, with the odd gasp attending the more ambitious ones. 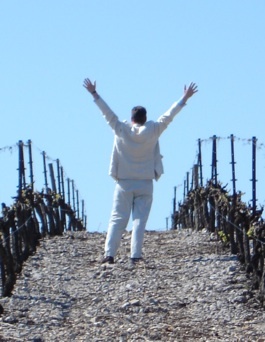 The wines are first sold to negociants (big Bordeaux wine traders) who in turn sell to importers/wholesalers, who sell to retailers, who sell to you and me. Or so they hope. For decades the raison for buying en primeur was peddled thus: buy now and secure the best possible price for a wine that is sure to get more expensive and which, because of limited production, may not even be available again in the future. There used to be some truth in that but the system has begun to disintegrate in recent years, evidenced most recently by Latour’s refusal to come out to play anymore. 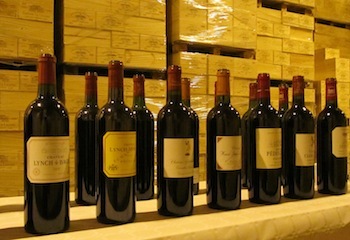 Closer to home, Searson’s in Monkstown, whose first en primeur offer many years ago featured the legendary 1961 – a genuine contender for the title ‘vintage of the century’ – ceased offering Bordeaux en primeur for the simple reason that there was nothing in it for them or their customers. More recently the high quality 2009 and 2010, both inevitably dubbed ‘vintage of the century’, were released at sickening prices, prices that have steadfastly refused to skyrocket since, thus ‘robbing’ the lucky first time buyer of a tasty windfall. The less lauded 2011 vintage was launched at lower but still ludicrous prices, leading to sluggish sales when consumers realised that equivalent wines from the good to very good 2001 vintage were still available for roughly the same price. So who does this antiquated system benefit? Why, the châteaux themselves. They sell all of their production, before it is even finished, to a relatively small number of customers (the negociants) and that is that. They don’t need to employ a sales or marketing team and they generate some tasty cash flow also. Today the system is a vestigial remnant of a bygone age when communication and transport were so much slower, and far eastern buyers, the Chinese particularly, are completely unused to its idiosyncrasies. It will be interesting to see what happens when they turn up at châteaux doors with wads of cash wanting to buy direct. That could sound the death knell of en primeur. Millesima is a negociant with a difference. Founded 30 years ago it specialises in buying from the châteaux and then selling directly to the consumer, thus considerably shortening the traditional long chain of middlemen. In addition they also hold impressive stocks of back vintages, many of them in large format bottles, double magnums, imperiales and the like. In recent years they have also widened their portfolio to include wines from other classic French regions: Burgundy, the Rhône, Champagne and Alsace. Perhaps most notably they also host an excellent tasting every year of about ten dozen châteaux, and it is held nearly 12 months after the en primeur tastings, just before the wines are due to be bottled. By this time all the idle chatter, gossip and speculation about a vintage’s merits and likely prices is over. Conditions are ideal and, given the timing of the event and the extra development of the wines, there is a much greater chance of making of an accurate assessment of a wine’s qualities and likely potential once bottled. Prices are not cheap but service, provenance and the range of back vintages stocked are top notch.